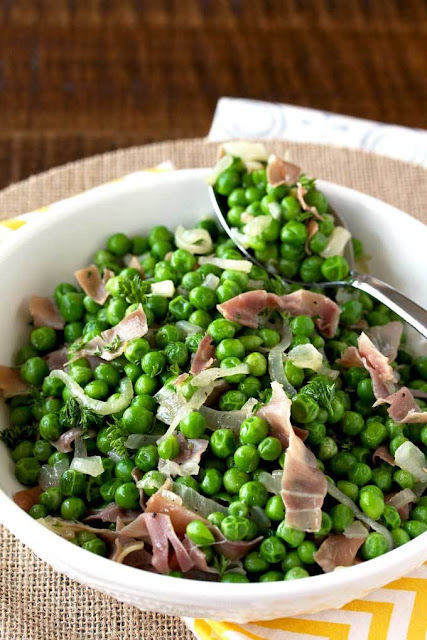 Sauteed Peas with Prosciutto and Shallots is an easy and quick side dish perfect any day of the week and fabulous enough to serve for holiday meals! I love side dishes that can be made in less than 15 minutes with ingredients that are available all year round. 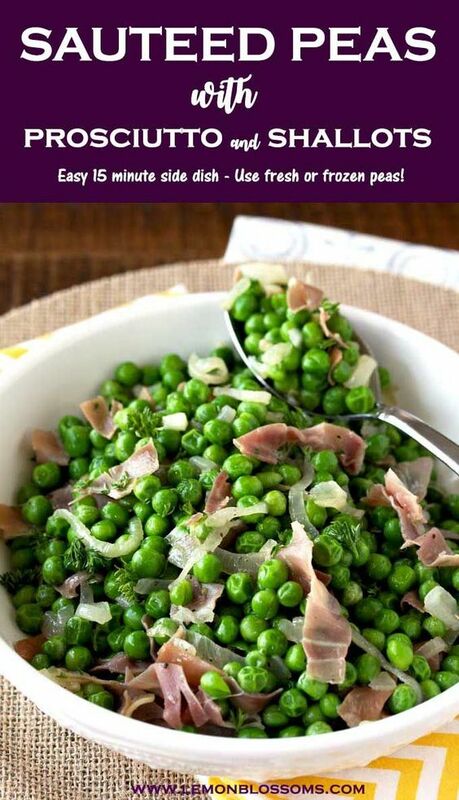 You may be thinking – well fresh peas are only available during spring – luckily this side dish can be made with frozen peas which I always have in the freezer. Add the shallots and garlic and saute stirring constantly for about 4 - 5 minutes or until the shallots start to get golden brown. Add the frozen peas and saute until heated through, about 4 - 5 minutes. Add the salt and stir to combine. Add the prosciutto and cook for about a minute. Season with salt and pepper to taste. Serve. You can use a 1-pound bag of frozen peas for this recipe. You can use fresh shelled peas for this recipe. Blanch the peas in salted boiling water first. Then follow the recipe and saute until the peas are tender. They do take longer to cook than frozen peas. 0 Response to "SAUTEED PEAS WITH PROSCIUTTO AND SHALLOTS "